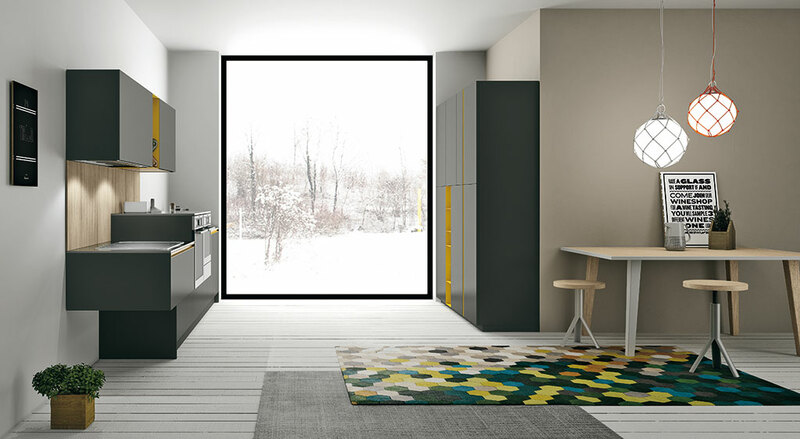 Cromatika is coloured solidity that begins with the modern linear kitchen, the simplest solution for the dining area, rendered special precisely by the chromatic combinations of 10 different colours, often used to highlight details. 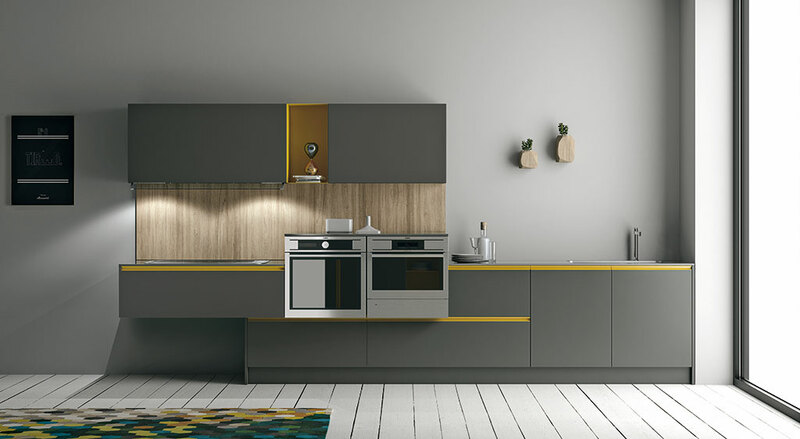 This historic Doimo Cucine collection plays with open shelving in painted metal, a range of handles and modules of different depths and suspended cabinetry. 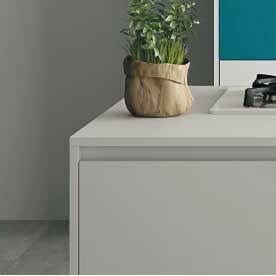 A corner kitchen with simple and refined lines is made elegant by the union between the calm tones of white and light blue and the Fiamma Cocco oak for the boiserie. 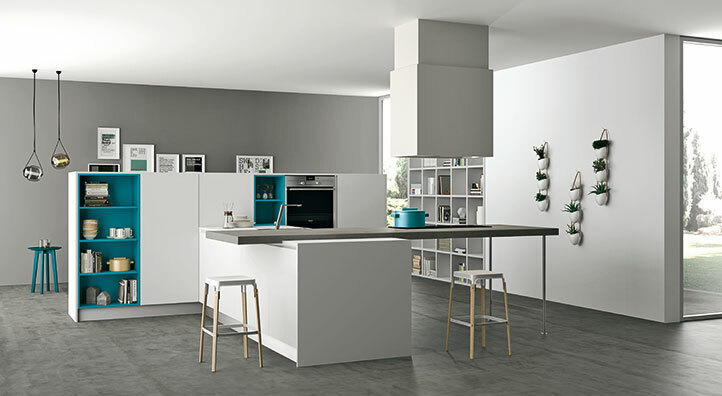 A few tasteful combinations create an enjoyable kitchen for anyone. 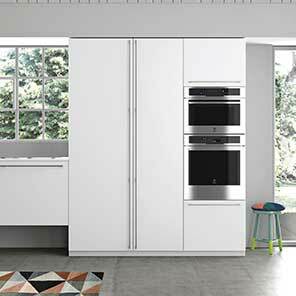 The tall units feature series “H8” vertical stainless steel finish metal handles that run the full height of the doors to demonstrate to what degree they can be personalised. 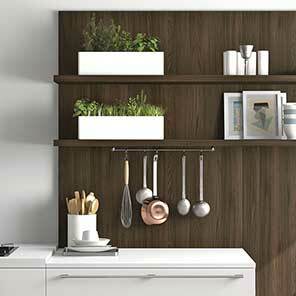 The corner kitchen is connected by a boiserie in Fiamma Cocco oak with wall shelving, available upon request with under-shelf LED lighting. 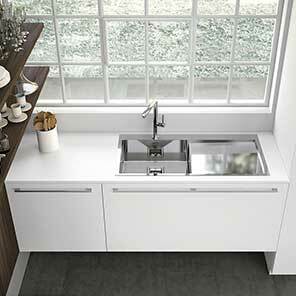 The hanging base units in the work area facilitate cleaning and contribute to an essential and linear aesthetic. 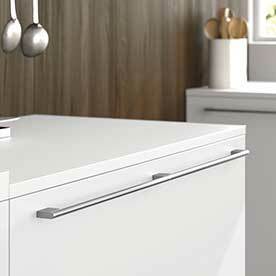 The metal Line Handle can be painted in a range of colours. 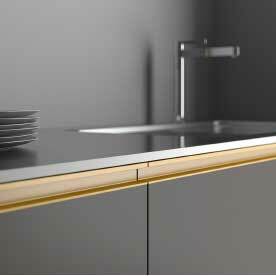 Positioned along the top edge of the doors, it simulates a recessed groove profile. 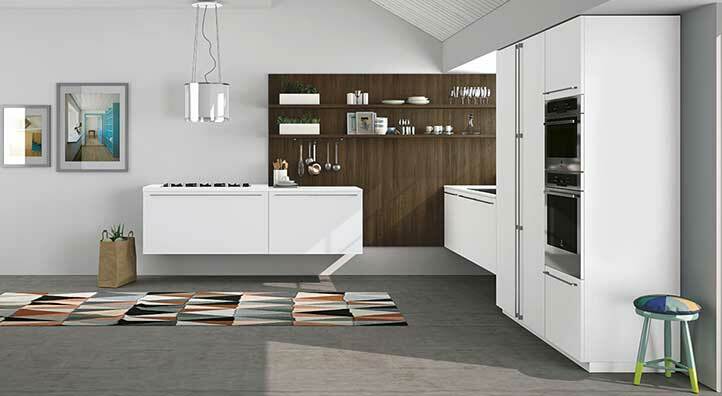 The traditional groove profile is placed behind the door, in extruded aluminium that can also be lacquered, with a C shaped form for tall units and an L shape for the base units. The Cromatika system is easy to transform, even in the living room: the compact C shape layout ensures that everything is at hand and blends into the living room. 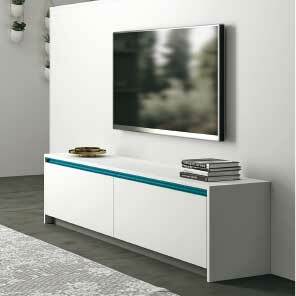 The fully-equipped tall units function as dividers for an area dedicated to relaxing, furnished with a 100% Cromatika credenza. 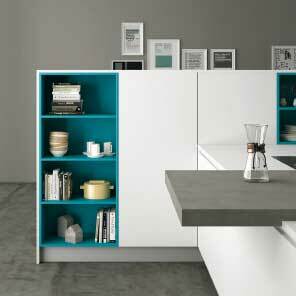 Colour becomes a decorative touch that enlivens even the simplest open shelving element. 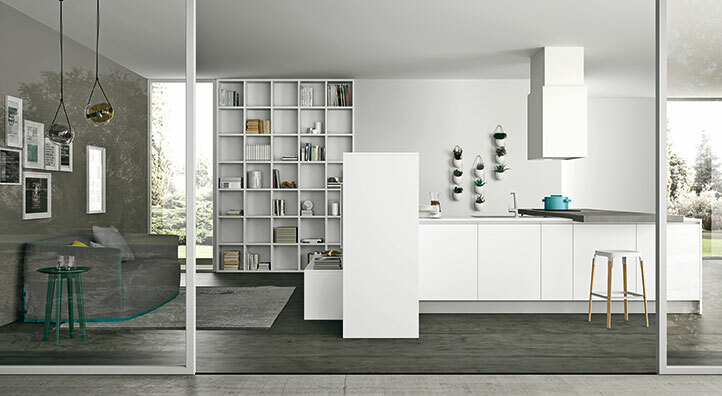 Cromatika is a modular kitchen system that is versatile enough to create furnishings that are perfect for the living room.